Specific Industry: Eksagon Exhibitions provides travelling exhibitions in Europe and the Middle East, including exhibition concept & design, production content, technical support such as setup, transport and logistics, operations, as well as marketing and PR material. Featured exhibitions currently available for tour include "Surviving Dinosaurs" and "Discover the Ice Age". Web Conceptions Agency was hired to create the company's new website, including design concept, development, content research and writing, organic SEO and a kick-start in social media and wider online strategy. Crucial to this process, and as part of the overall web development and SEO-content service, Web Conceptions conducted in-depth market research on touring/travelling exhibitions, as well as the featured events of Dinosaurs and Ice Age to produce a communications strategy that helped plan the process and execute the solution. Our team worked very closely and precisely with the client to bring the concept to life in short time. Meanwhile, the client's own creative and business skills, their ability to easily understand and execute various elements, as well as their motivation and own creative hard work has been a huge boost, and will not doubt prove to me the main driver to their success; on- and offline. This new website is now sure to help boost Eksagon's exposure in the local markets of Greece and Cyprus, as well as further afield they offer their services, especially the Europe Union, the Middle East and the wider EMEA region. In turn, this should help create new business leads and support other marketing and sales activities. 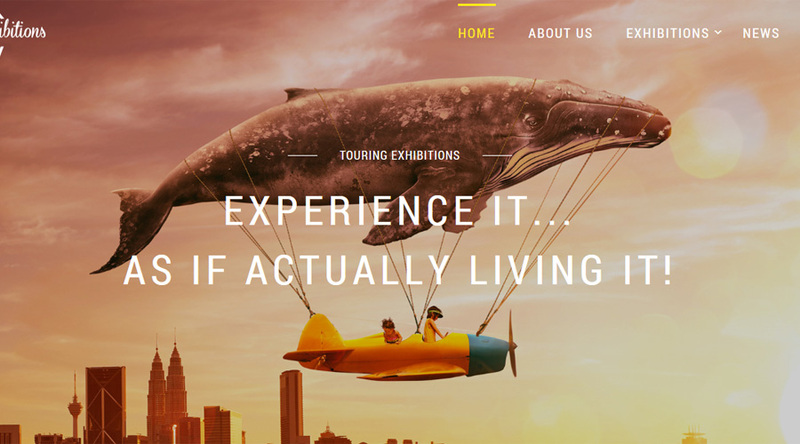 Backed by over 15 years' international experience and know-how in web design, development, IT, SEO and marketing communications, this new website for Eksagon Exhibitions is a fantastic example of Web Conception's ability to thoroughly research and grasp a particular business sector and then creatively deliver a unique and robust solution. It also further demonstrates professionalism and proven working processes, able to easily and efficiently work with clients in various industries, and locations throughout Europe and the wider EMEA region.